Neurolinguistic programming (NLP) is aimed at enhancing the healing process by changing the conscious and subconscious beliefs of patients about themselves, their illnesses, and the world. These limiting beliefs are “reprogrammed” using a variety of techniques drawn from other disciplines including hypnotherapy and psychotherapy. Studying the well-known psychotherapist Virginia Satir, the hypnotherapist Milton Erickson, the anthropologist Gregory Bateson, and others whom they considered “charismatic superstars” in their fields, Grinder and Bandler identified psychological, linguistic and behavioral characteristics that they said contributed to the greatness of these individuals. On the other hand, they found that persons experiencing emotional difficulties could be similarly identified by posture, breathing pattern, choice of words, voice tone, eye movements, body language, and other characteristics. Grinder and Bandler then focused on using these indicators to analyze and alter patterns of thought and behavior. After publishing their findings in two books in 1975, Grinder and Bandler parted company with them-selves, with a number of other collaborators, and with the University of California, continuing their work on NLP outside the formal world of academia. As a result, NLP split into a number of competing schools. 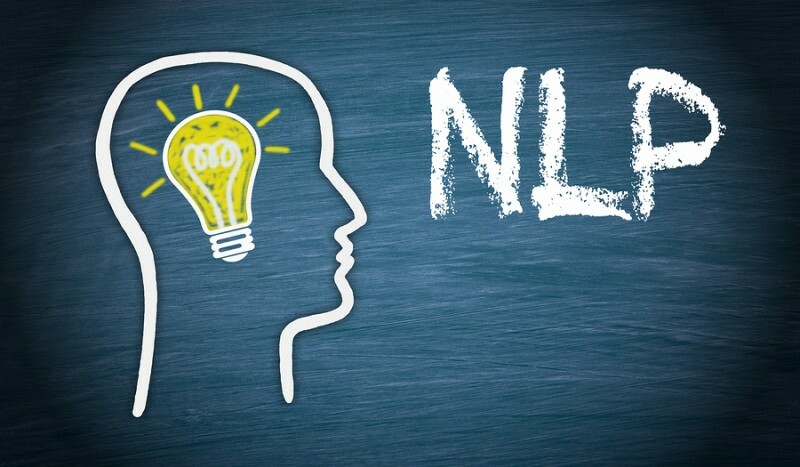 Popularized by television “infomercial” personality Anthony Robbins and others, NLP was quickly adopted in management and self-improvement circles. During the 1990s, there was growing interest in NLP’s healing potential. Neurolinguistic programming has been used to change the limiting beliefs of patients about their prospects of recovery from a wide variety of medical conditions including Parkinson’s disease, AIDS, migraines, arthritis, and cancer. Practitioners claim to be able to cure most phobias in less than one hour, and to help in making lifestyle changes regarding exercise, diet, smoking, etc. NLP has also been used to treat allergies. In other fields, claimed benefits include improved relationships, communication, motivation, and business performance. In a health-care context, practitioners of neurolinguistic programming first seek to identify the negative attitudes and beliefs with which a client has been “programmed” since birth. This is accomplished by asking questions and observing physical responses such as changes in skin color, muscle tension, etc. Then, a wide variety of techniques is employed to “reprogram” limiting beliefs. For example, clients with chronic illness such as AIDS or cancer might be asked to displace the despair and loss of identity caused by the disease by visualizing themselves in vigorous health. Treatment by NLP practitioners is often of shorter duration than that of other alternative practitioners, but NLP self-help seminars and courses can be quite expensive.